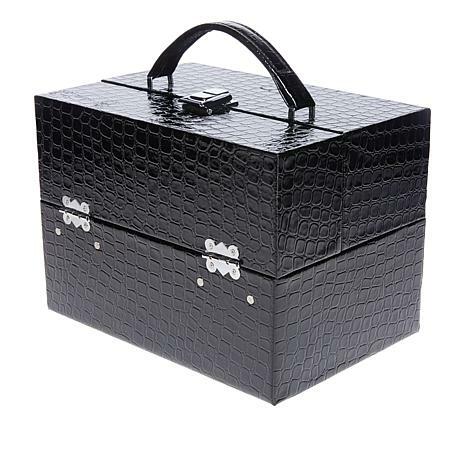 Whether you're traveling or staying home, this lovely train case will help keep your favorite jewelry pieces safe and secure. 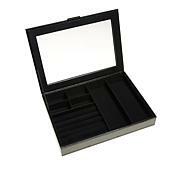 The hard-side case features pop-up, accordion-style trays for convenient storage of rings and other jewelry essentials. 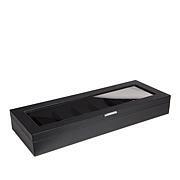 It opens to a roomy interior that's perfect for larger jewelry, cosmetics or other beauty items. Plus, its croco-embossed exterior makes a stylish statement—wherever you are! I bought this item because I have bought other "Prestige" items. Was happy for the first month, but around six weeks, the handle came off. Then the interior fell apart. Big disappointment. I would not recommend this product. It ended up being a waste of $50. The hinges were defective, and as I opened up the case, they tore the black covering right off. Returned it. 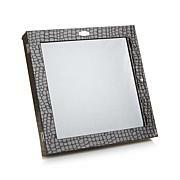 Keep your jewelry organized and protected in this sleek, snakeskin-embossed box. Inside there's plenty of space for the pieces you wear most, including rings, bracelets and more. 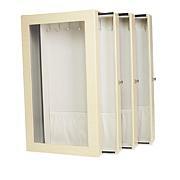 Plus, the transparent window on top makes it easy to find your favorite pieces—even when you're in a rush!